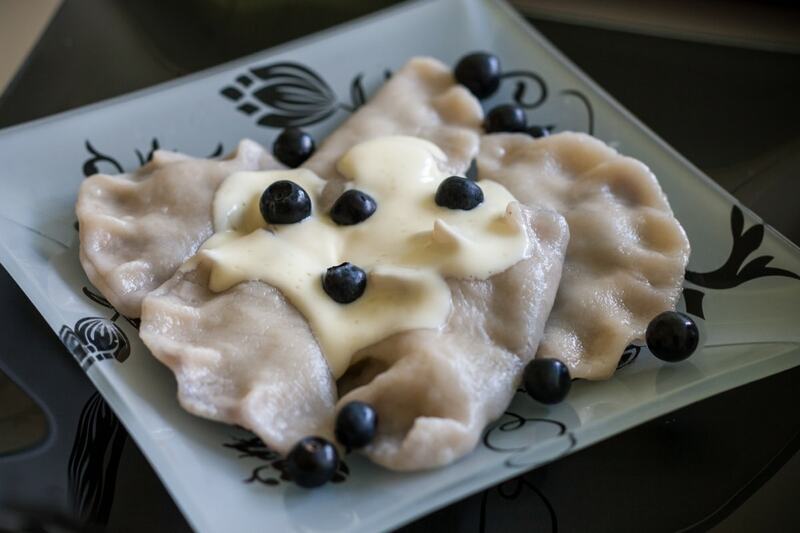 Blueberry pierogi are the fruity version of one of Poland’s culinary landmarks: pierogi, a.k.a. Polish dumplings. I think that the first time I had blueberries in my life was in this form. 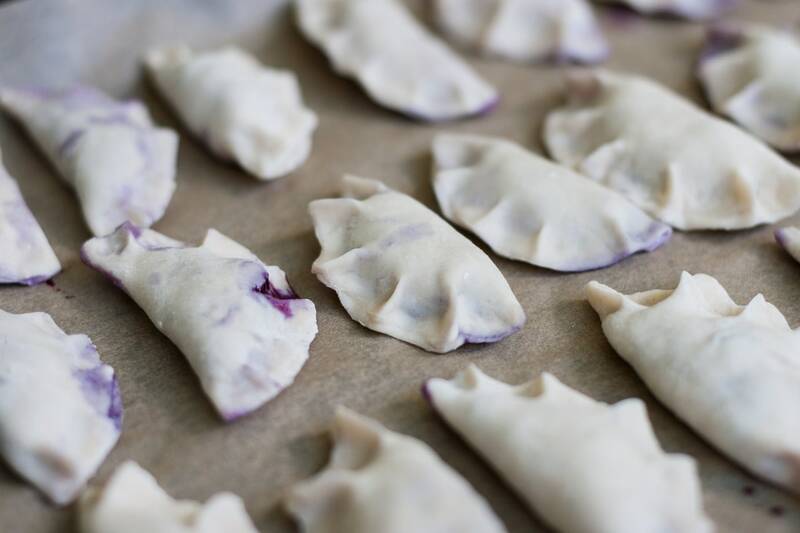 It must have been the summer of 1990, more or less, and my Polish grandma had produced dozens of batches of pierogi, like she always does, so that the whole family that day had blue tongues and lips. I don’t have clear memories of that, but I’m sure that I was playing on the carpet and my mom knelt down to me and made me taste blueberries for the first time in my life. Warm blueberries. 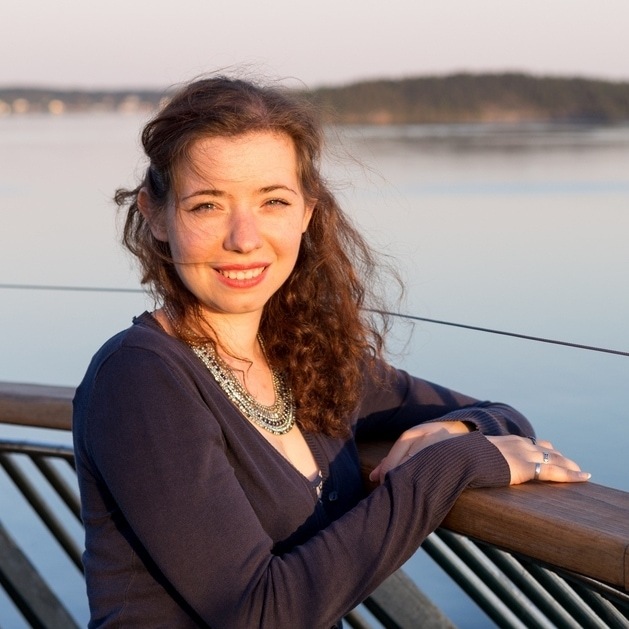 I don’t remember that scene, but as I was eating warm blueberry pie the other day, for a moment I saw a 4-year-old myself grinning at her reflection in my Polish grandparents’ mirror, blue to her chin. So the other day I met up with my Polish-Canadian (and one Polish at heart Aussie) friends to make our own pierogi. We might have been born in Italy or Canada, but when it comes to certain Polish traditions, it becomes clear which of our two nationalities prevails. 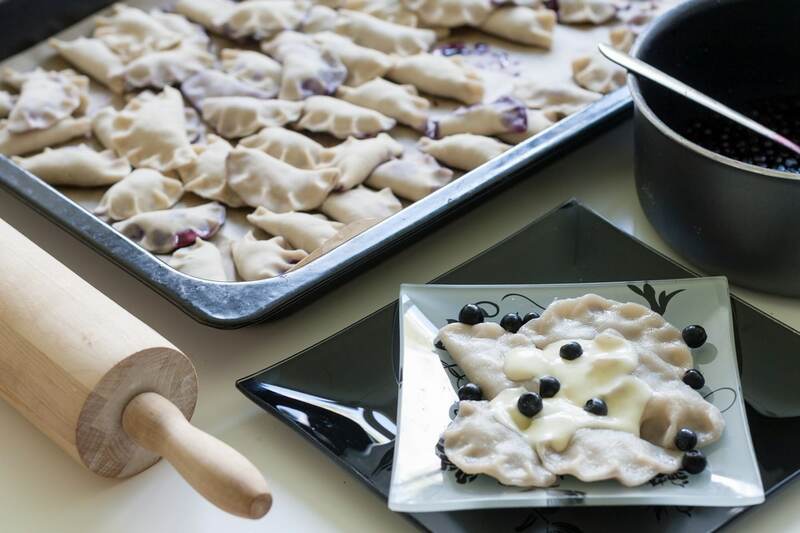 Pierogi z jagodami (which, by the way, means blueberry pierogi, of course) are among the things that make our Polish hearts beat faster, and now that we are in Sweden and August in Sweden is blueberry season, we couldn’t help but make pierogi. 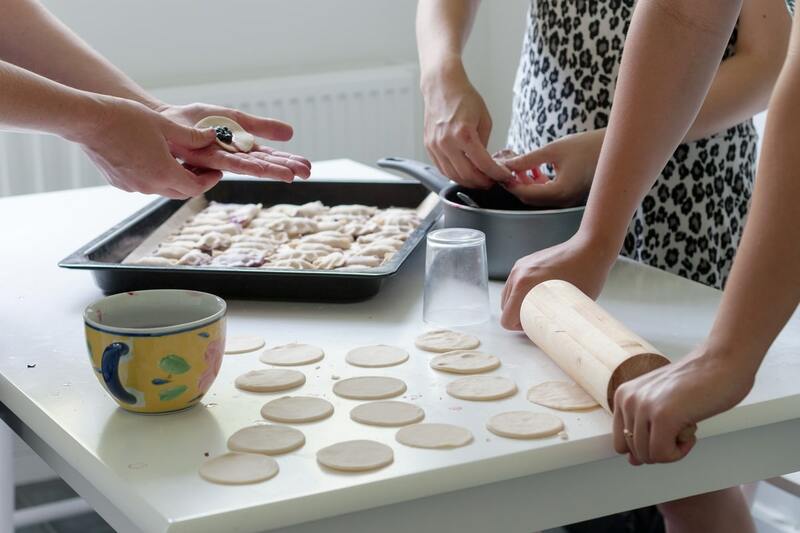 After cross-checking recipes both in Polish and English – and anectodes and family tips – we settled on this one and made a batch. 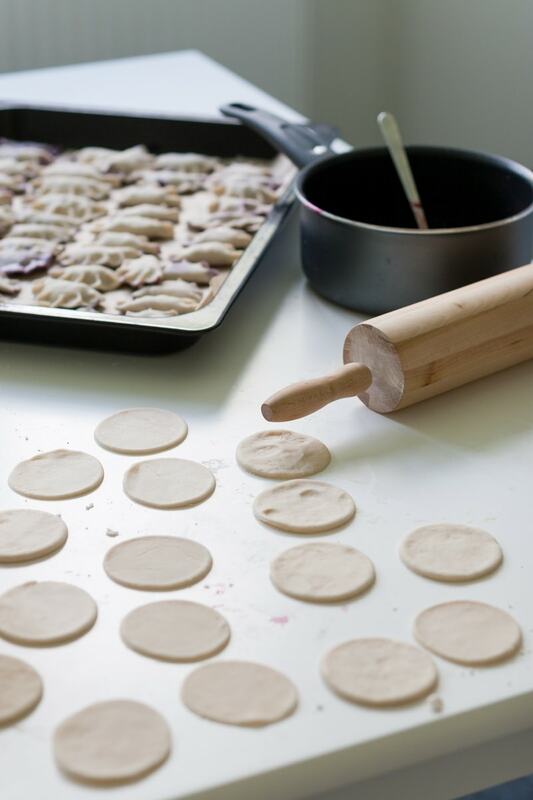 Pierogi dough is very versatile and can be used for both sweet and savoury pierogi. For our blueberry filling, we sprinkled blueberries with sugar and corn starch, and mixed until coated. The proportions are about 1 tbsp of cornstarch every 3 tbsp of sugar – this varies according to the amount of blueberries used. The blueberries had been hand-picked by the four of us on the weekend before, so had been stored in the freezer. Frozen would have been more suited, but we left some to defrost, so the filling came out a little runny. But this only made some of the pierogi turn out quite interesting in the end, all stained from the blueberry juice. Purple is my favourite color, so I did not mind this random toning at all. 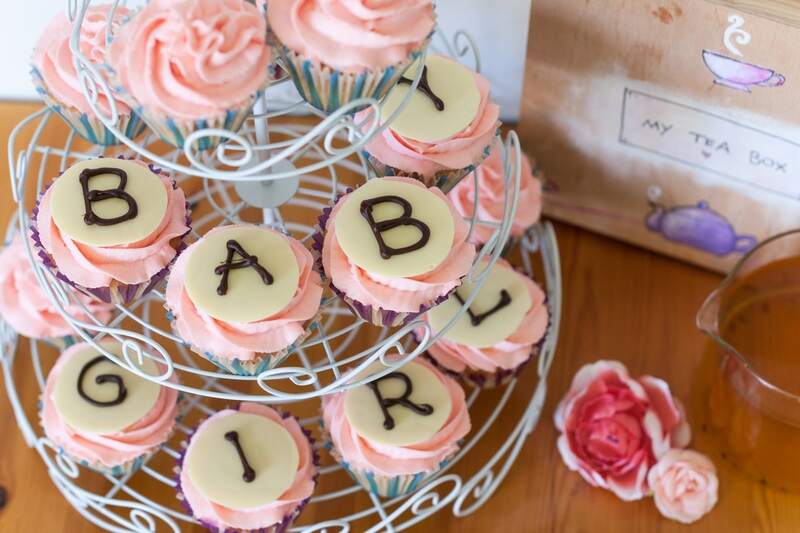 It’s been quite a teamwork, and a nice way to spend a girls’ afternoon in. Pierogi are to be cooked in boiling water for a few minutes, like most types of dumplings. 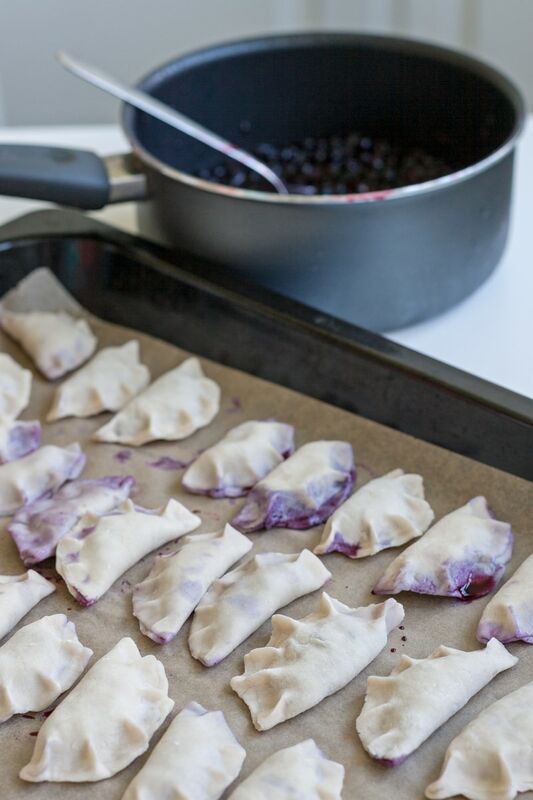 To maximize your tasting experience, serve your blueberry pierogi with sour cream and sugar. And you will know what being spoilt by a Polish grandmother feels like. The purple colour bleeding out at the edges looks so pretty. I’m used to savoury dumplings so these fruit ones seem very different. I’d love to try them. They’re relly good! 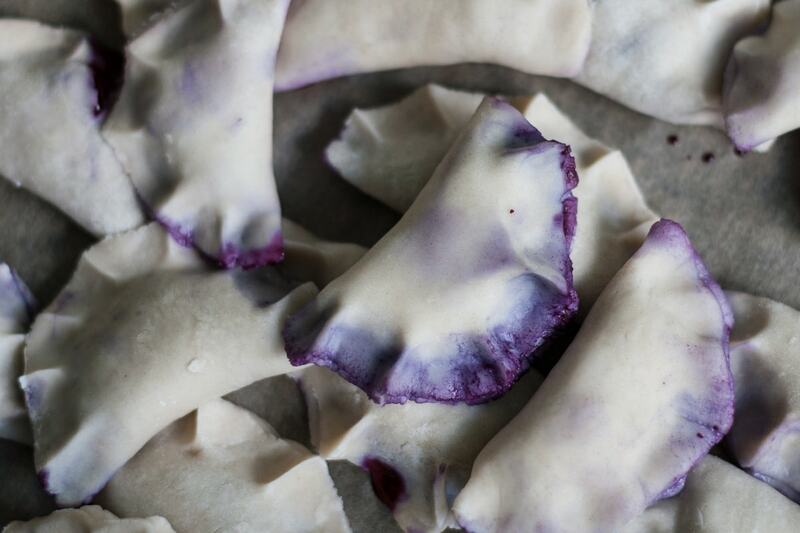 Think dumplings, but with blueberry pie filling and you get the idea. You should definitely try them!! 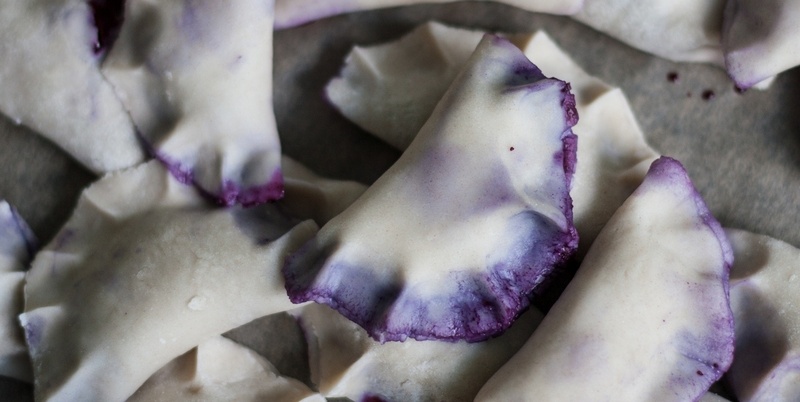 These blueberry pierogies looks magical. It reminded me of the purple yams that I really love. Hello!! I don’t know purple yams, I should make some research because now I’m curious. Can you please suggest me a link? This root crop can be made in to different varieties of dessert. I’ve never made one. I’m just good at eating them. Wow, thanks, very interesting! What a stunning colour it has!